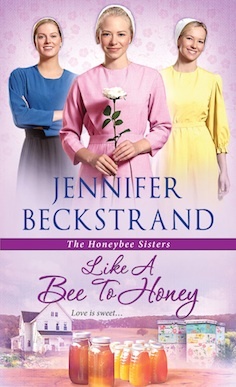 Lily, Poppy, and Rose Christner, known as the Honeybee Sisters in their Amish community, are smart, inseparable, and all grown up. Orphaned when they were very young, the girls were raised by their eccentric Aunt Bitsy, who doesn’t behave like a proper Amish spinster. The Honeybee Sisters have blossomed into rare beauties, and the boys in the community have begun to take notice. But Aunt Bitsy is determined to scare off all comers with her brusque manner and her handy shotgun. None but the most worthy will make it past Bitsy’s defenses. It’s going to be a rowdy and romantic summer—harvesting honey from their many beehives and fighting off the boys right and left.